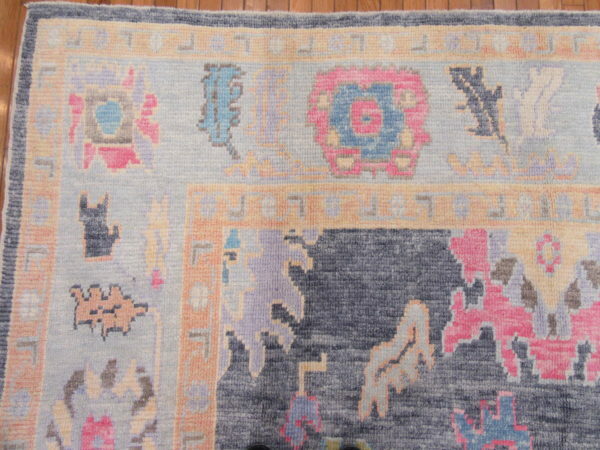 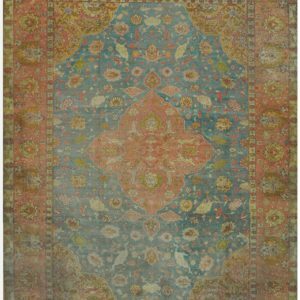 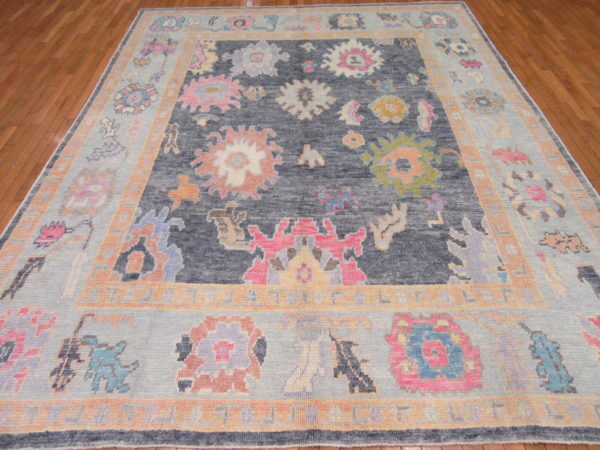 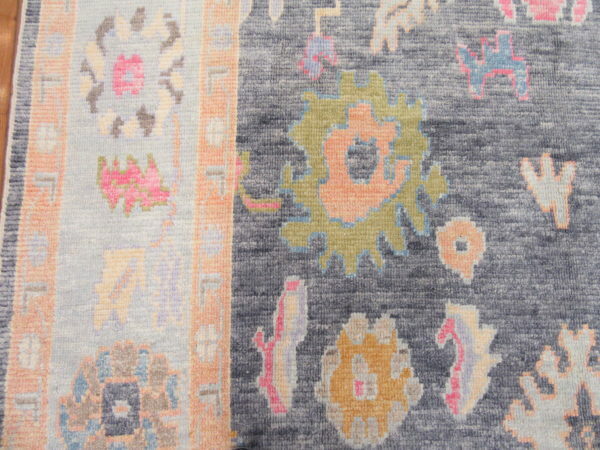 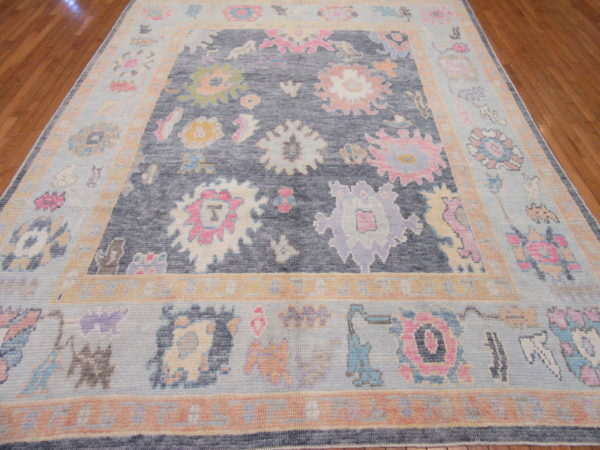 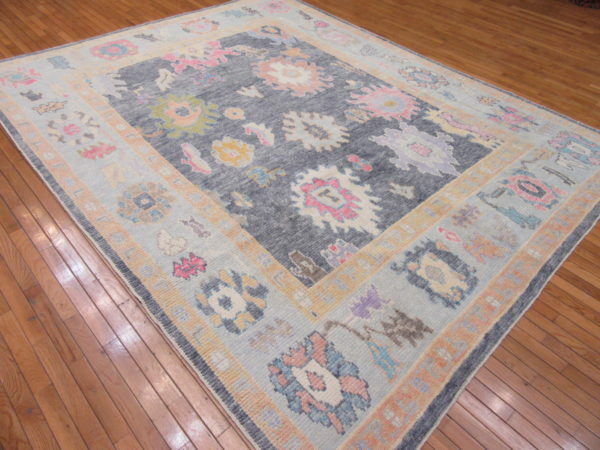 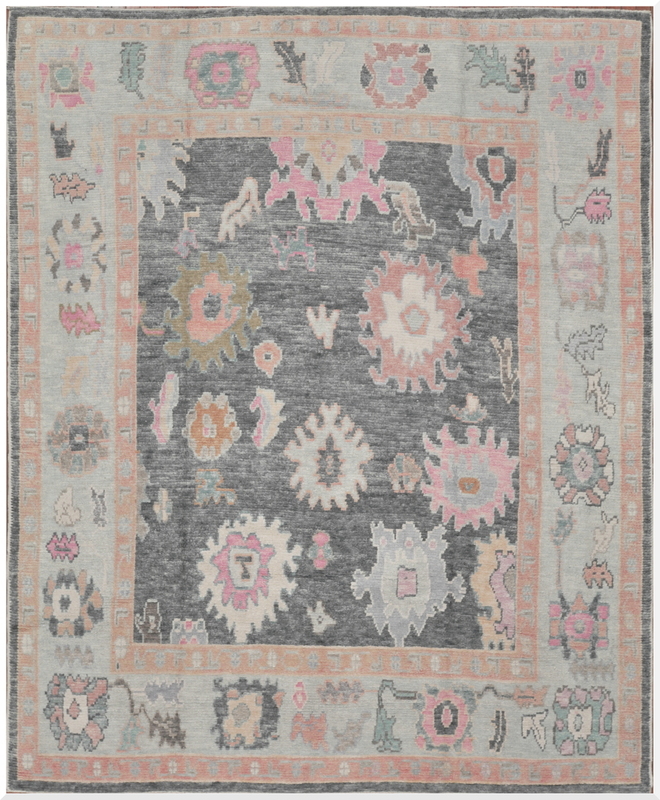 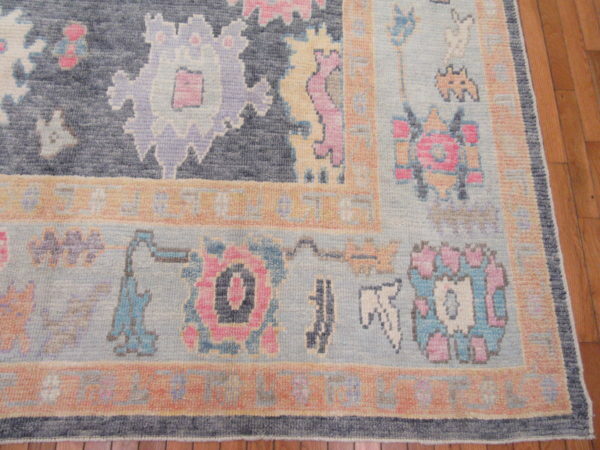 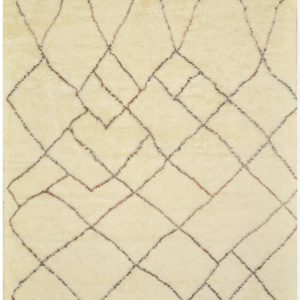 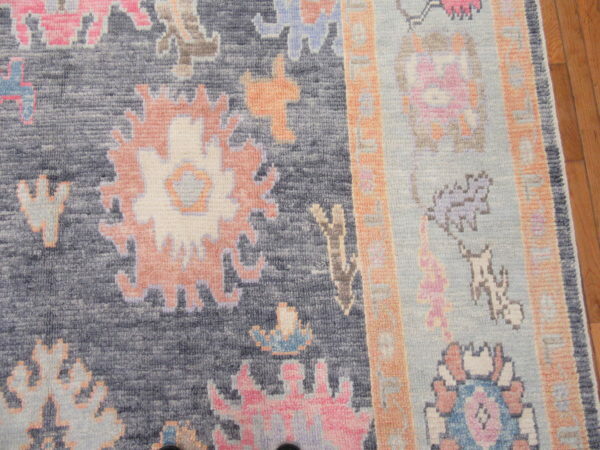 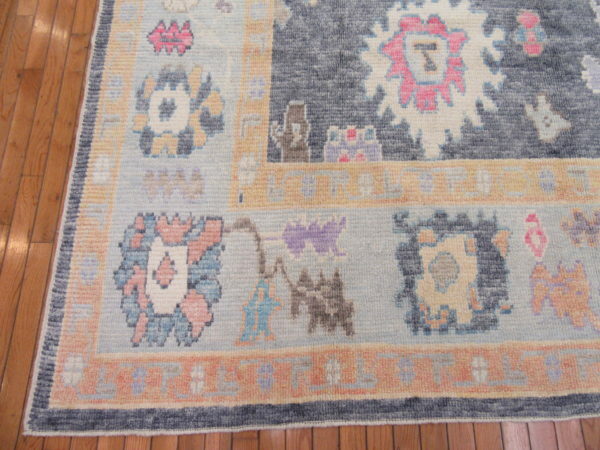 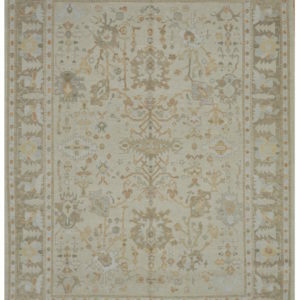 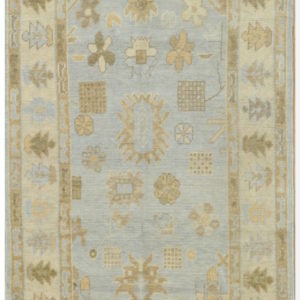 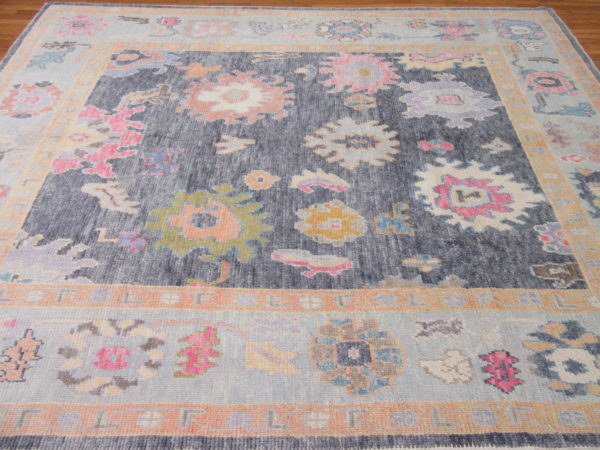 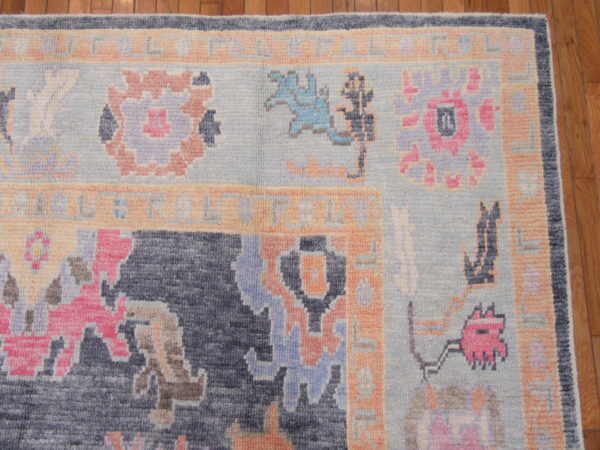 This is a new hand knotted Oushak rug from Turkey. 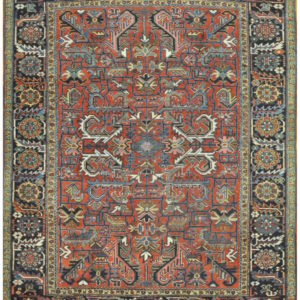 It is made with all wool in multiple rich colors. 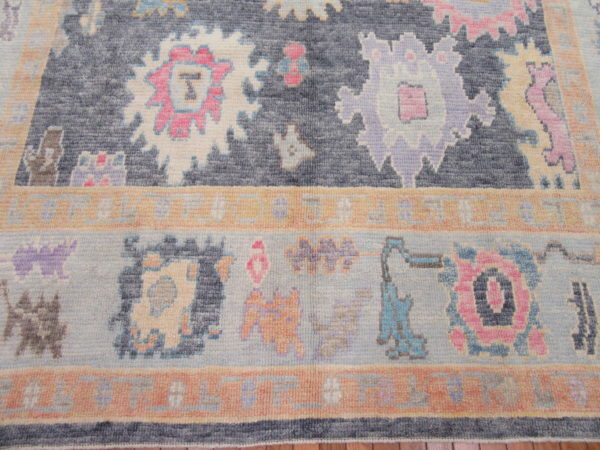 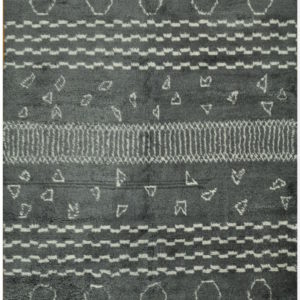 It has the regular nomadic Oushak weave and a old finish. 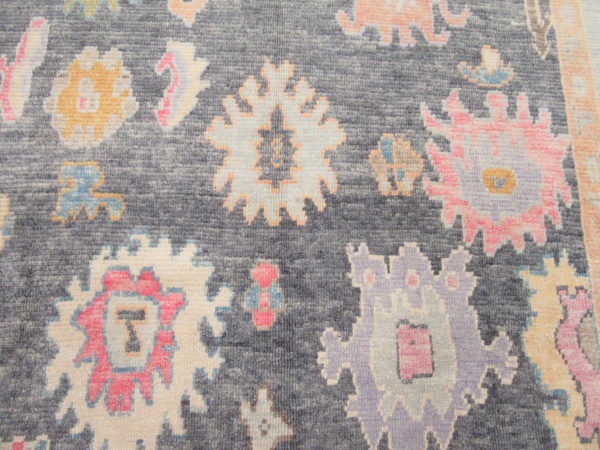 The large scale all-over design and the colors make it a fun rug to work with.